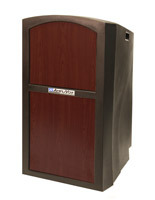 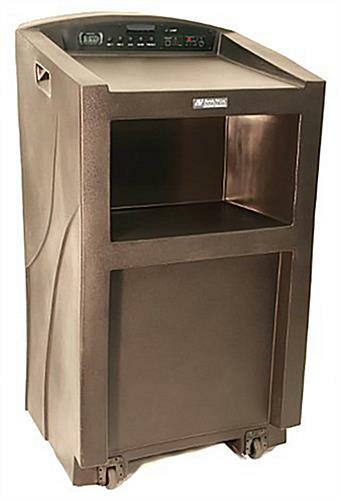 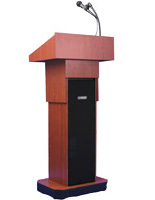 Professionalism and elegance meets convenience and practicality with this lectern with sound system. 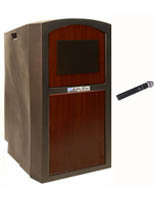 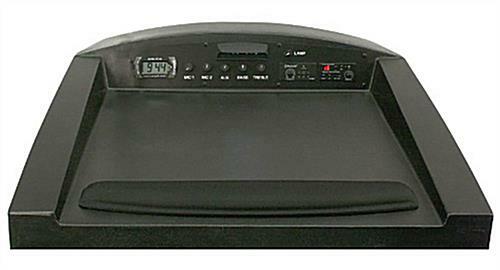 With the 2 built-in oval speakers and over ear microphone you are able to engage with your audience and freely move about the podium while presenting content. 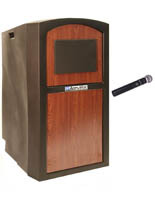 Equipped with the AmpliVox lectern is a 150 watt amplifier with wireless receiver which is capable of reaching the ears of 1,950 people in a room of almost 20,000 square feet! 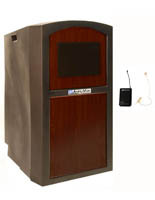 If you weren’t looking to use the over-ear headset microphone no need to worry, the podium carries a XLR audio input port for secondary mics in case you want to be stationary during your presentation. 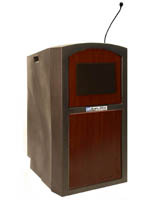 The lectern also has a durable, hard plastic shell that is both weather and waterproof allowing you to use this indoors or outdoors. 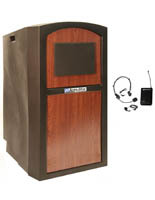 Also built-in on the portable rostrum are 2 external speaker jacks. But if you aren’t getting the volume you want to satisfy your crowd size, well we’ve solved that problem as well. 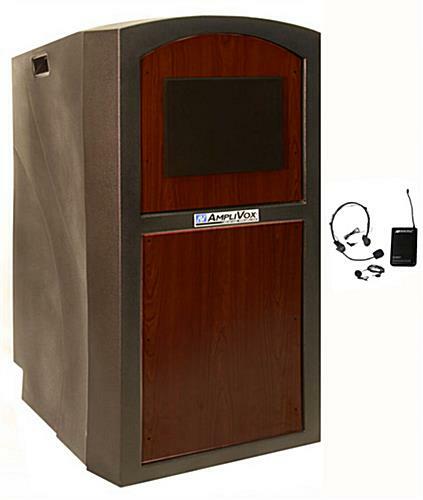 A 25 foot cable and XLR audio output is included along with the wireless receiver allowing you to connect it to an in-house PA amp!